The drive from Punta Cana to Santiago takes about 4 hours. Our Punta Cana airport transfers run 24/7/365, and we operate come rain or shine, so if you have a booking with Cocotours, our airport greeter and our airconditioned Dominican transfer vans and buses with uniformed drivers will be waiting for you. Our private transfers from Punta Cana to Santiago get you right out of the airport the minute you get into our transfer van or bus, no need to wait for other passengers, get to your resort or villa sooner, to enjoy the pool and the beach faster! On this route we offer the option to upgrade to a premium SUV such as a late-model Chevolet Suburban, Cadillac Escalade or a Mercedes. 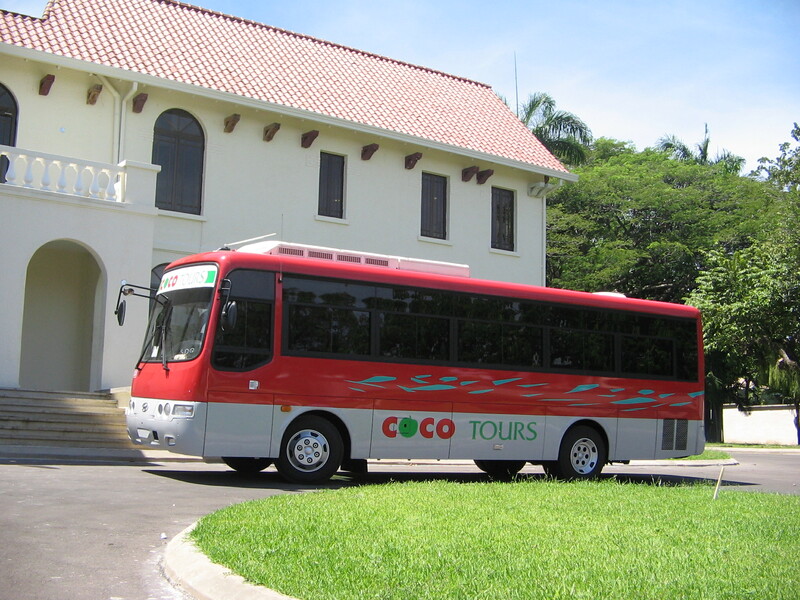 If you would like a quotation for transfers from Punta Cana to Santiago, or any other Dominican airport transfer, please just drop us a line on transportation@cocotours.com. The buses are reliable and comfortable, but getting from Punta Cana to Santiago would take the whole day. Just take the Expreso Bávaro bus from Punta Cana to Santo Domingo, then take a cab across town and catch either the Metro bus or Caribe Tours bus from downtown Santo Domingo to Santiago.